Who Has Access to MyAnalytics? 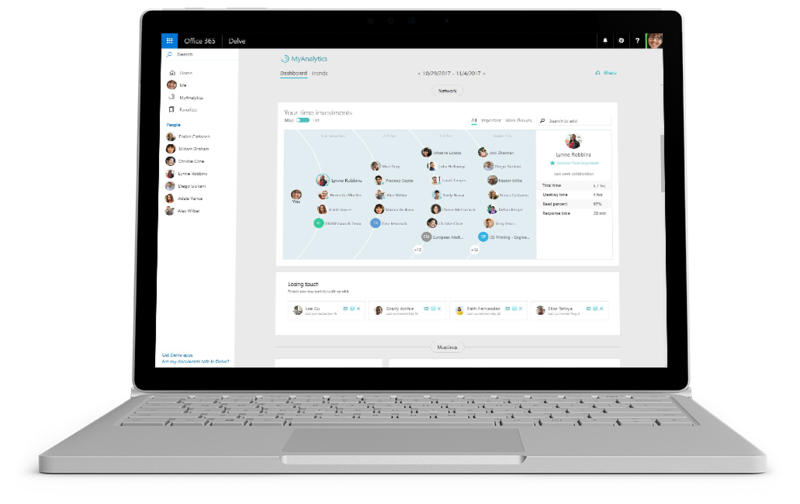 MyAnalytics is included for everyone currently using Microsoft 365, Office 365 Enterprise, or any of the Business suites that have business hosted email (Exchange). MyAnalytics analyzes how you spend time at work and then compiles a summary of this data in order to help you find ways to work better. For example, MyAnalytics can track how much time you spend in meetings to highlight times when another type of task might be more productive. If having more productive meetings is a goal of your business this year, MyAnalytics provides valuable time-management data to assist you. 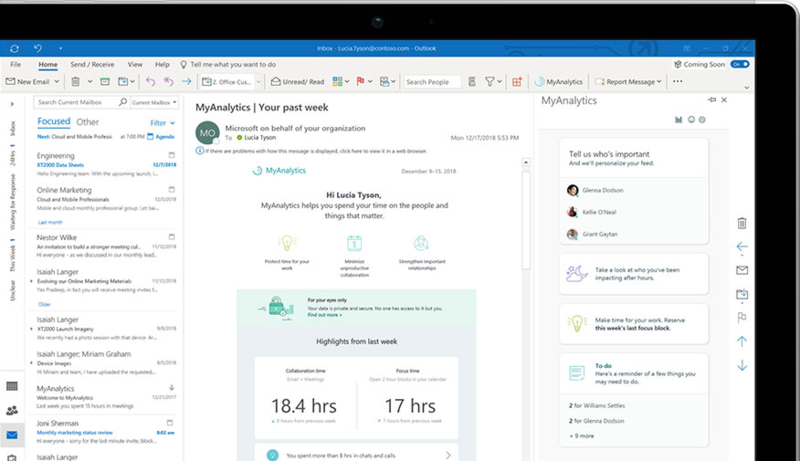 MyAnalytics also tracks after-hours work that you put-in and even compiles email analytics to help you write more focused and effective messages. 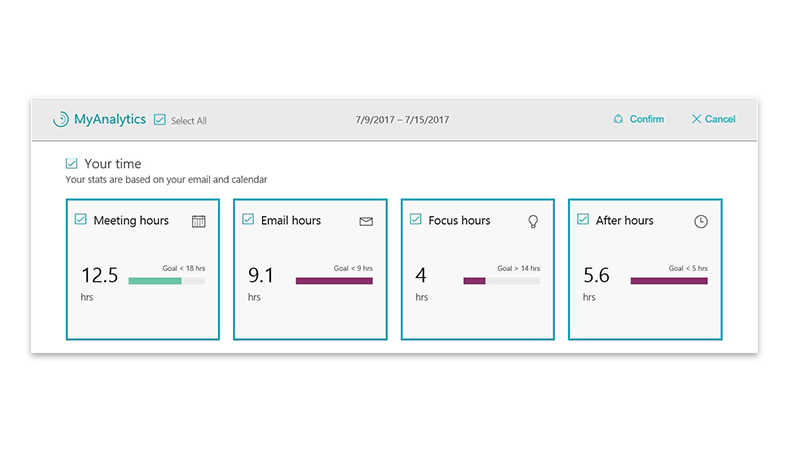 Being able to see where your time actually goes in an easy to digest dashboard will help you realize whether you are using your work time effectively or not. Many people are surprised to discover that the time they have for uninterrupted focused work is much lower than they think. Once you have the data on hand, you can take positive steps to improve in areas that seem lacking. For some great tips on how to free up more focus time in your day, check out our earlier article, Let's face it, focusing is hard! MyAnalytics is Designed with Privacy in Mind. Unlike productiivty apps that encourage sharing and collaboration, MyAnalytics is meant to be private user information. The information it pulls from your email and calendar can only be viewed by you. 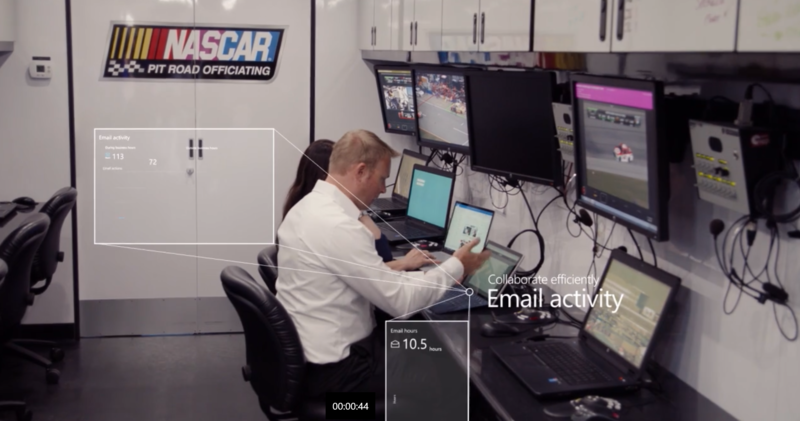 Watch this video on how NASCAR is using MyAnalytics to aid innovation and stay ahead of the pack. NASCAR is a sport that is dependent on technology to achieve successful results. While plenty of tech is invested on race day communication and car tuning, successful teams and drivers are also using data from MyAnalytics to better plan their time off the track.